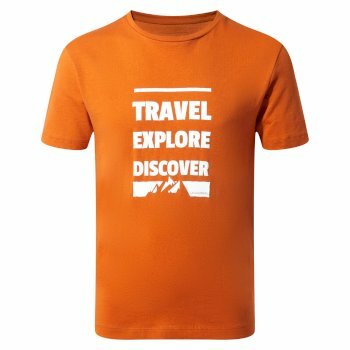 Colourful, comfortable tops and tees that are sure to appeal to young explorers. Look out for this season’s new designs including NosiLife insect-repellent base layers and hoodies. 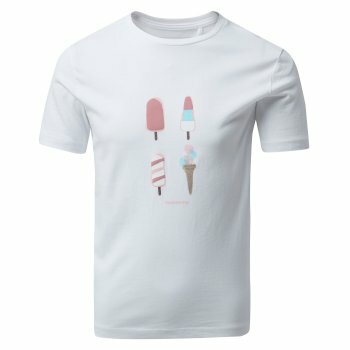 Our range of kids’ t-shirts and tops are the perfect addition to their wardrobe. Our girls and boys’ tops are available in a range of designs, colours and sizes to suit the little ones. Our children’s tops with bright colours and graphic prints are the ideal way for little ones to show off their big personalities. Discover our tops for girls and boys – made from combortable cotton and polyester – perfect for keeping children cool on all their summer adventures. When developing our range of kids’ tops and t-shirts, comfort and practicality were front of mind. We stock children’s t-shirts and tops from leading brands, including Craghoppers, Regatta and Dare 2B. Planning a hot weather family getaway? Discover our kids’ tops and t-shirts with NoseLife technology: offering protection from insects and the hot sun – perfect for hot climate travel. Need an extra layer of warmth? We stock lightweight fleeces – perfect to throw on when the temperature cools. Our range of tops for girls and boys are perfect for adding extra layers to their outdoor wardrobe. The weather can be unpredictable – temperatures can rise or fall quickly when out on the trail. Our kids’ tops are perfect for quickly and easily putting on or taking off – whatever the conditions. Explore our full range of kids’ t-shirts and tops to find the right ones to suit your little adventurers.